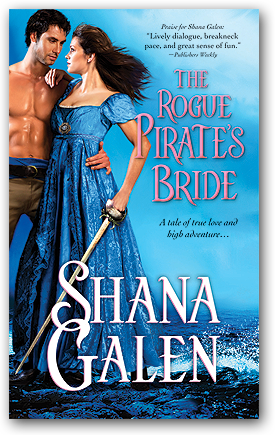 "Readers seeking wildly exciting escapades, nonstop action, rapier-sharp repartee and a heated romance need look no further." —Kathe Robin, RT Book Reviews 4 1/2 stars, Top Pick! a knack for bringing the historical setting to life." Twelve years in a French prison have left the once dashing Armand Harcourt, Comte de Valère a hollow shell of his former self. Though safely back on English soil, Armand remains locked in a prison of his mind, unable to interact with the glittering social world that was his rightful place. 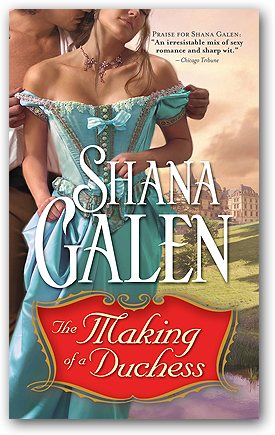 When his family hires the beautiful and determined Felicity Bennett to teach Armand, he is shaken by the onslaught of desire Felicity awakens in him. As Felicity slowly helps reclaim Armand, their passion begins to blossom into a transcendent love capable of healing the scars of both their pasts. Winner of the RT Book Reviews Best Historical Hero 2010! spy thriller that will leave you breathless." Twelve years after fleeing their burning chateau, Julien Harcourt, Duc de Valère, searches for his lost twin brothers. His frequent travels between England and France at a time when the exiled Napoleon is reported to be marshalling his troops raises the suspicions of English authorities who set secret operative Sarah Smith on his trail. A risky game of cat and mouse leads the two from the ballrooms of London to the prisons of Paris and into a fragile love that neither dares to hope for. The first in a trilogy of three brothers struggling to reconnect and restore their noble heritage in the aftermath of the French Revolution, each losing his heart along the way.